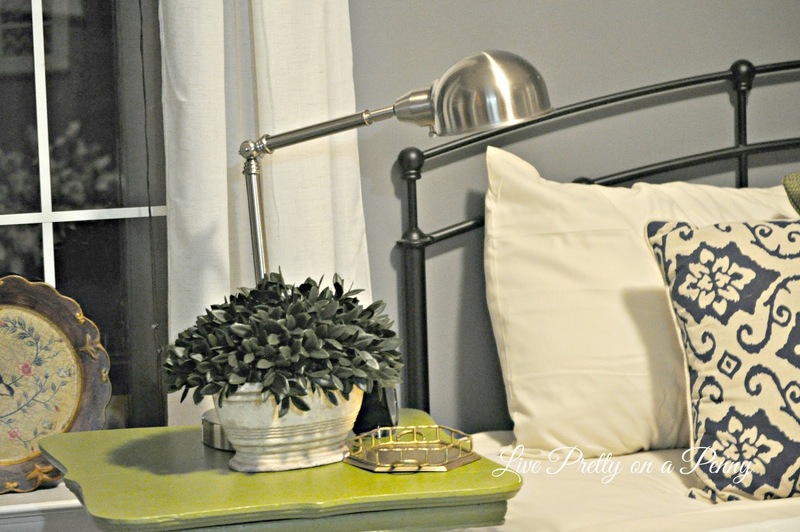 Thank you all for taking the time to check out my guest room reveal last week. It was received very well, and remember the contest that I entered it in? Well, I won!!! So I received a gift card to a big box store and a 1 hour design consultation. I am so pumped!! I think its important that when people visit your home, they should feel welcomed and relaxed. 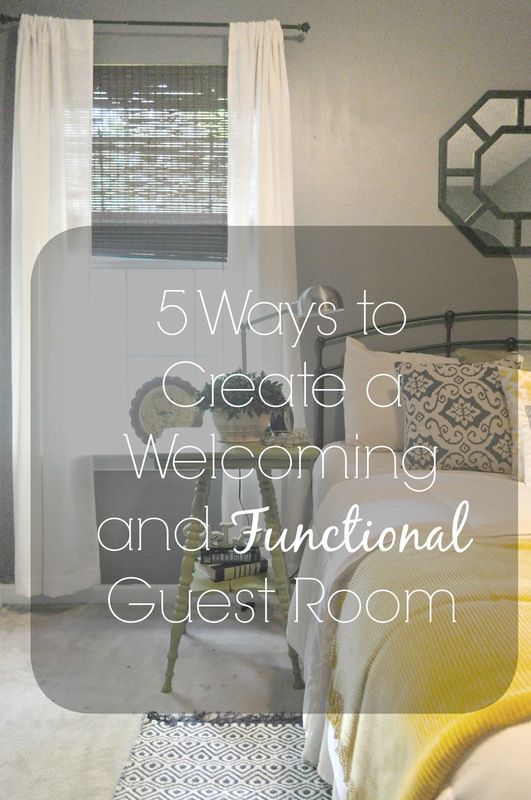 Continuing on with the guest room makeover, I wanted to give you guys my take on ways to create a welcoming and functional guest room. 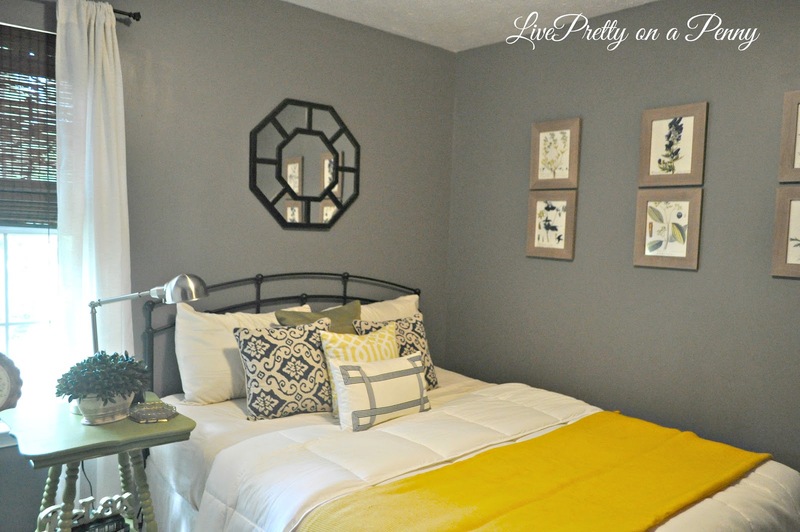 A relaxing paint color is key. I like to think about hotels and the soothing colors that they have on the walls. These colors are typically not distracting. For me, neutrals like grays, tans, and whites work best. Using neutrals does not have to mean light colors only. Deep colors work just as well. Though bold wall colors can be fun in certain rooms and sometimes even work in a guest room, I would stray away from such a color for my guests. But you can include whatever you think is necessary. I am sure that whatever you decide, your guests will certainly appreciate. It‘s one thing for to have a side table that looks pretty. That’s great! But, it should also be functional. Some of my ideas include easy outlet accessibility near the table, info about accessing the Wi-Fi network, a charging station for devices and phones, a pretty lamp to offset the need of overhead lighting, a clock, or a tray to hold jewelry when not in use. Comfortable linen is key in creating a comfortable room for your guests. I think the one of the best thing about visiting a hotel is how cozy the bed feels because of the crisp linens and plush pillows. That’s easy to achieve. In my guest room, I mainly layered on pillows. I doubled up on the sleep pillows in each pillow case which makes them extra fluffy and added various decorative pillows. The comforter is soft and quilted, and the yellow throw is another addition for guests to snuggle of with if they want. Outside of a few decorative items, the guest room should remain clutter-free. Only items that are needed and necessary should be placed in there. If the room doubles as storage, then the stored items should be neatly placed in a hidden location such as a closet or even under the bed, but the room should remain easy to maneuver for luggage and walking. When entertaining overnight guests, every accommodation should be made to make them feel comfortable and welcomed. These tips are ways to add some special details with overextending yourself or spending a whole lot of money. Do you have any ways that you like to make your guest feel special when they come to your home? As always, thanks for stopping by. Until next time. Great tips, Erin! Your room looks very pretty. Your guests won't want to leave!! You gotta add one. Its such a nice surprise for guests. So many great takeaways 🙂 My favorite a basket full of essentials which is so so nice to have ready for guests! Thank you Katrina. 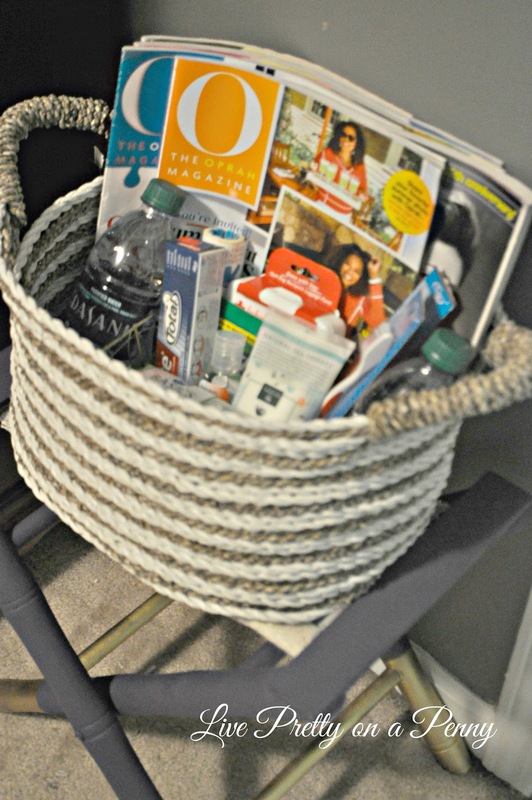 I love the basket of essentials as well. I hope I can keep my guests from taking everything! I would never want to leave!! Great advice.